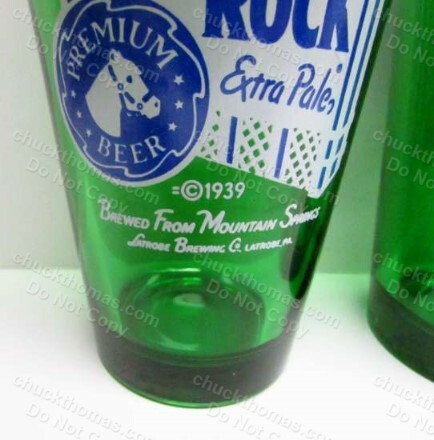 at the Bottom of Your Empty Glass ! 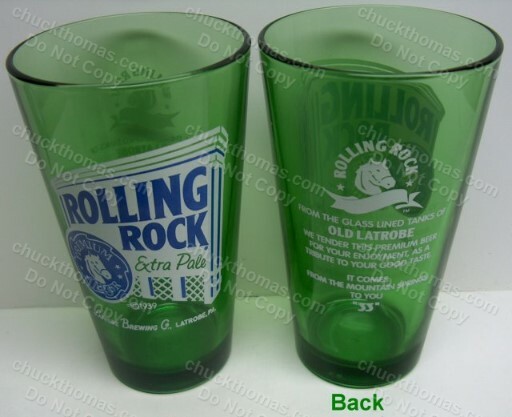 - VERY NICE ! 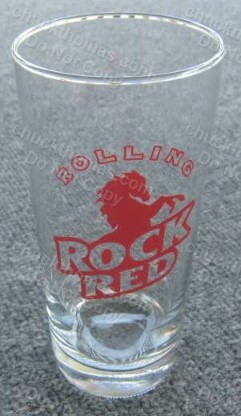 Rock Red Beer for a Short Time! 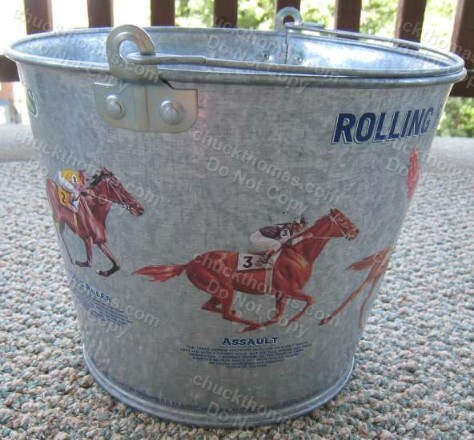 of a famous race horse from the past on them. 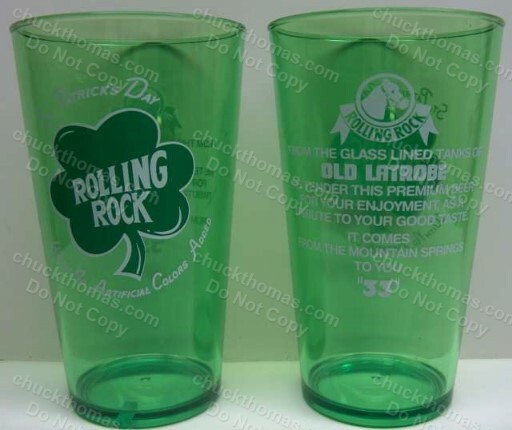 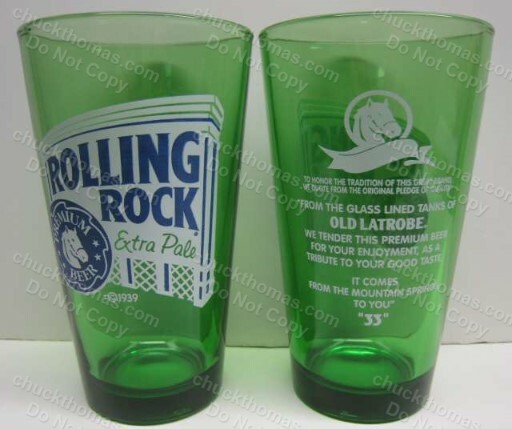 of 6 collectible glasses from Latrobe Brewing. 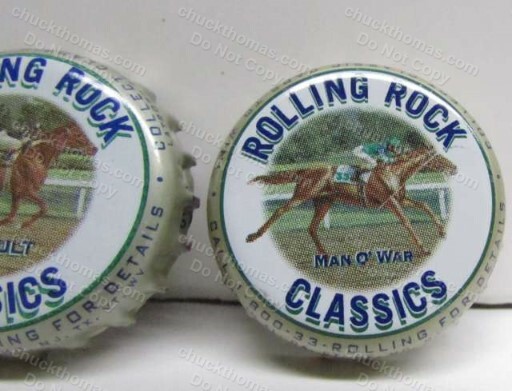 fairly easy to get, While Number 6, Man O War was very difficult. 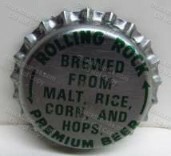 We hear there were only 2 caps per pallet of beer of the 6th cap !! 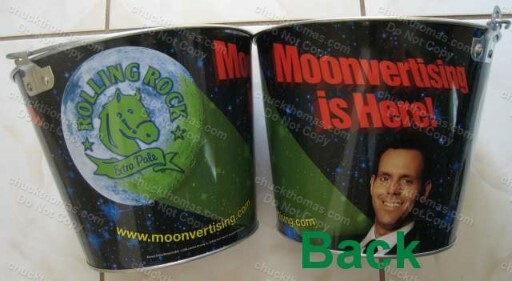 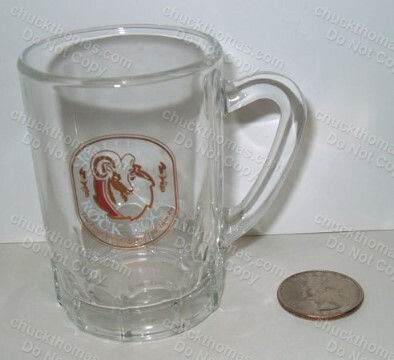 Cups are BRAND NEW ! 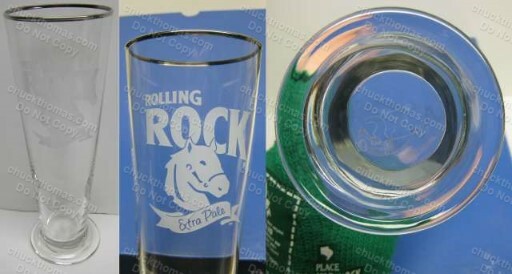 GREAT GIFTS For Your Party - 'Take Home' Party Favors ! 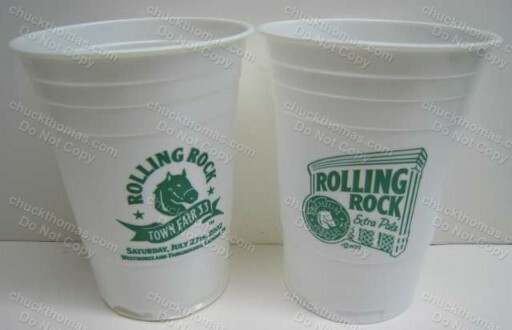 But who kept their Souvenir Cups ?? 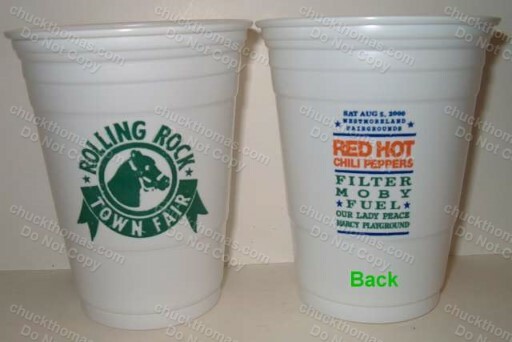 But who kept their Souvenir Cups ? 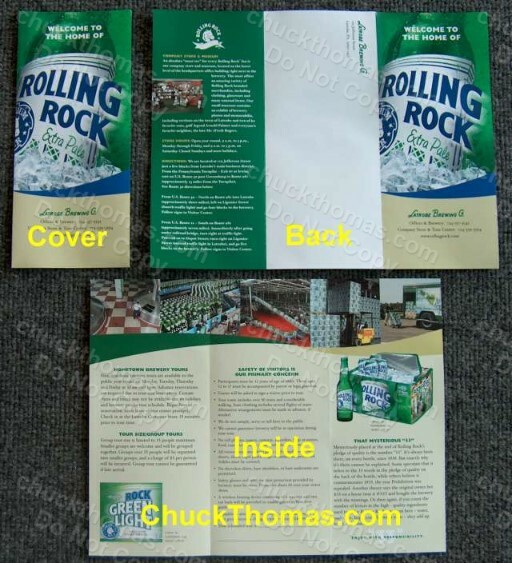 Same Logos and Text as the Beer Bottle ! 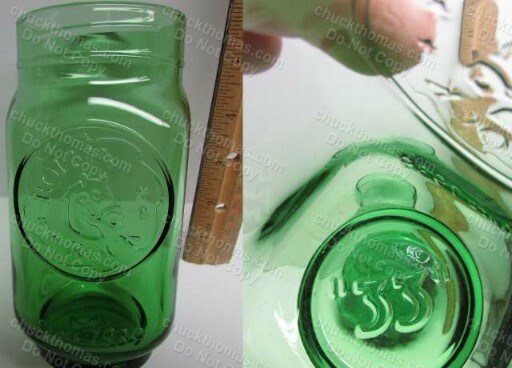 Flexible Drinking Straw Included - Why Have An Ordinary Bottle ? 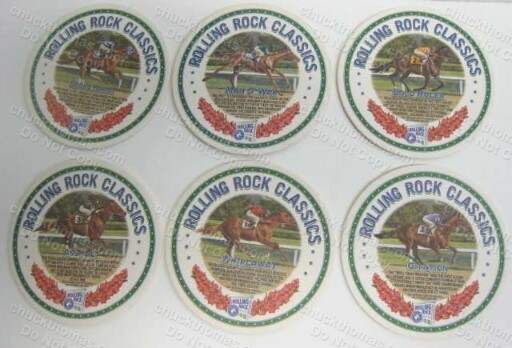 VERY Rare to find the Set of ALL 6 Coasters! 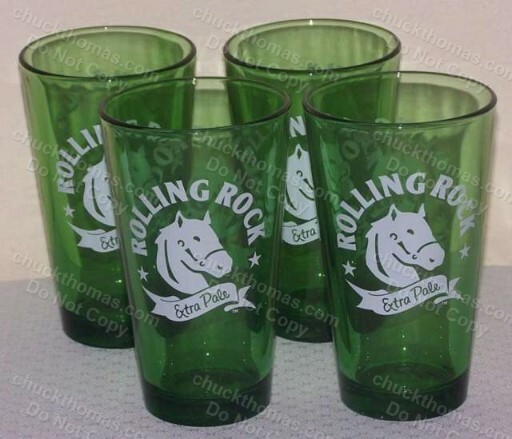 VERY Difficult to Get ALL SIX ! 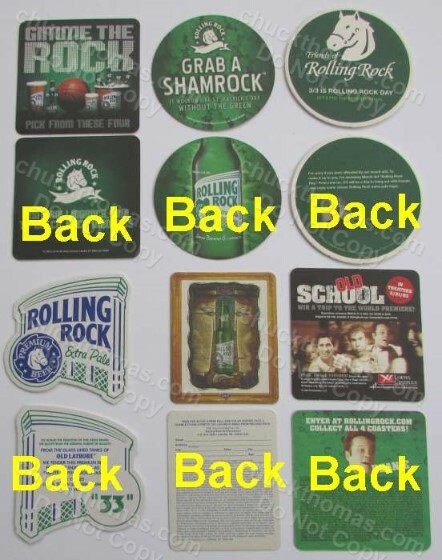 Complete Sets are Almost Impossible to find ! 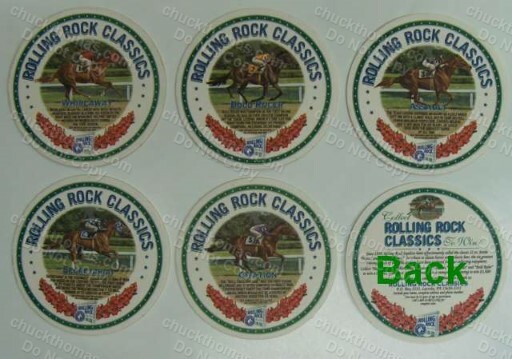 ALL 6 Coasters in Good Shape ! 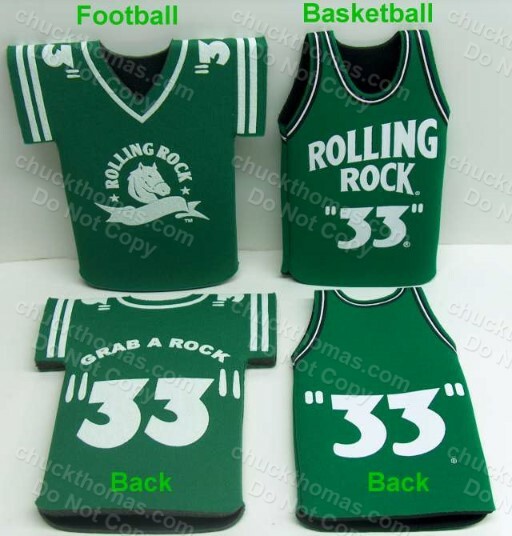 Want to Buy BOTH Football and Basketball ? 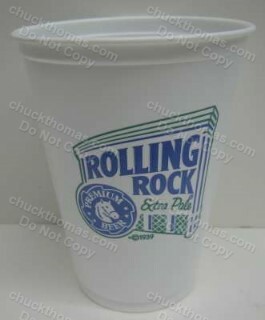 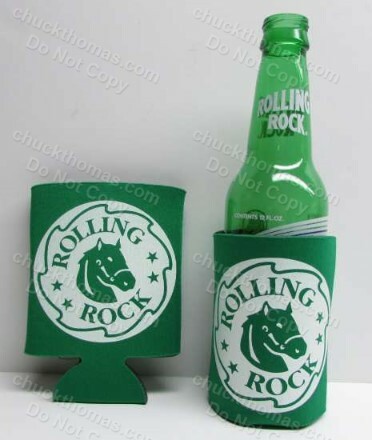 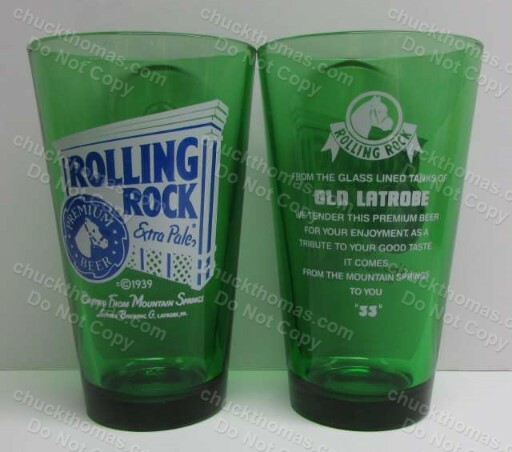 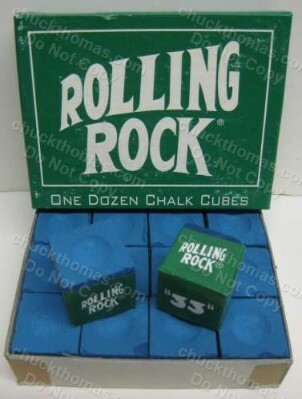 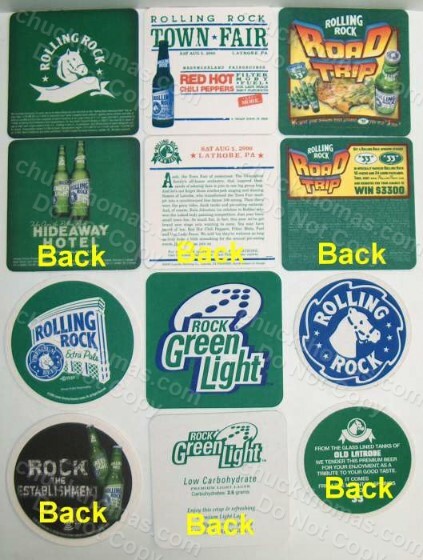 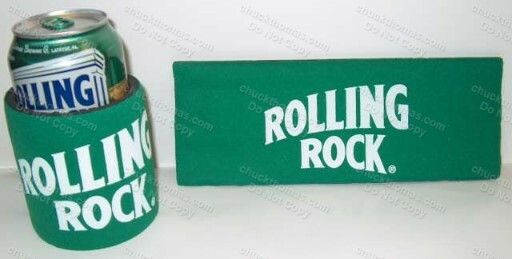 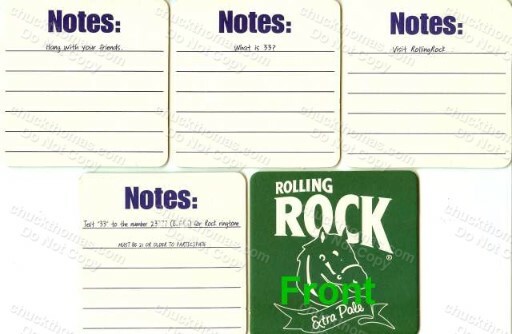 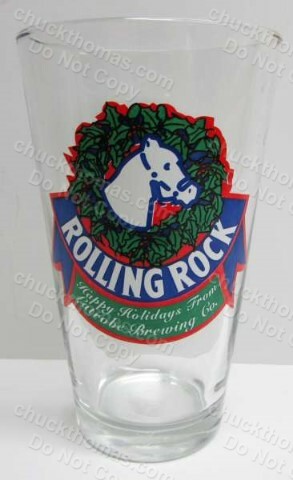 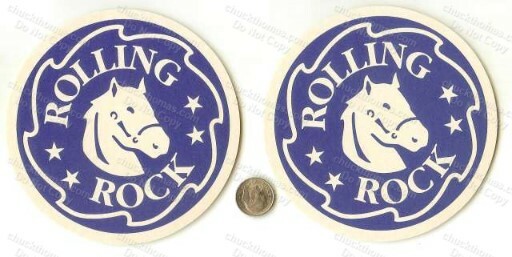 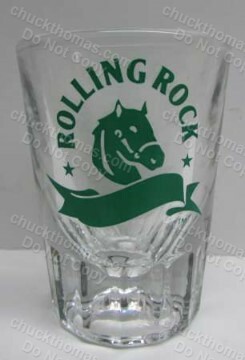 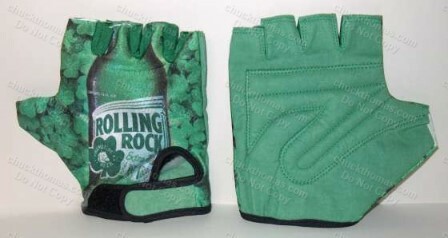 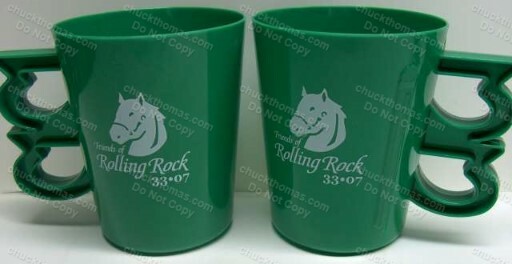 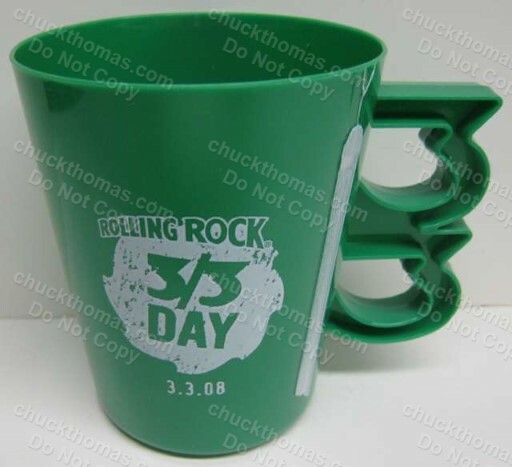 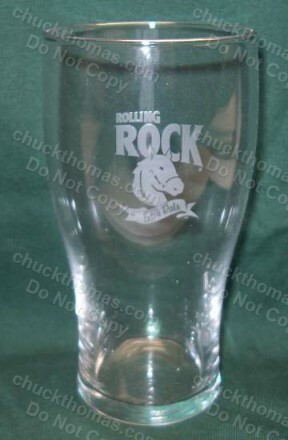 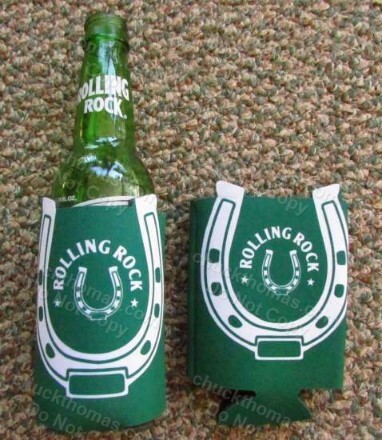 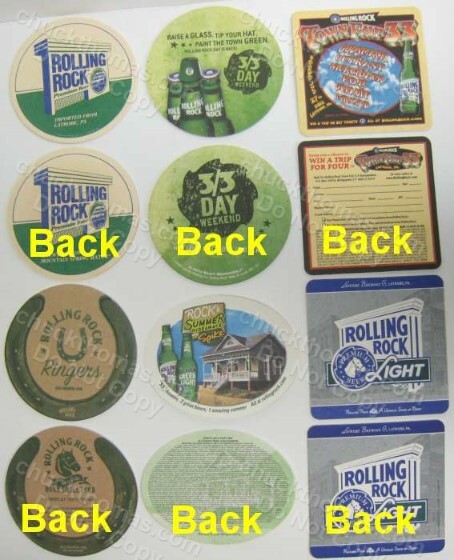 Rolling Rock Green Horse Shoe Logo Bottle Holder Foam Koozie! 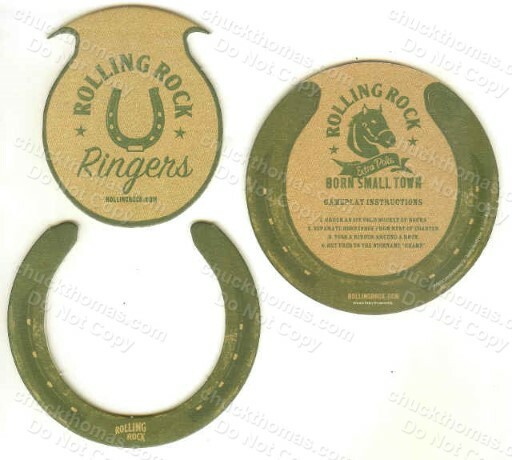 Great Party Novelty - Wear them on Your Wrist Until Needed ! 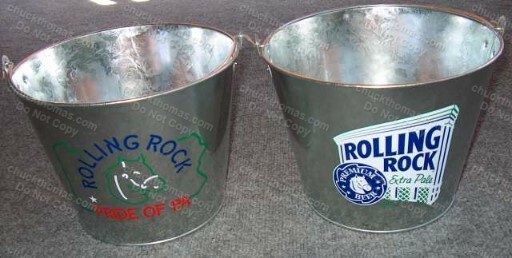 Ice Or Even Used As Tip Bucket or Planter ! 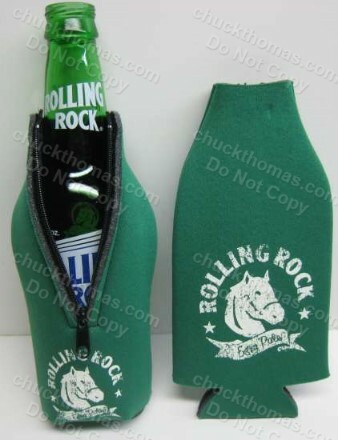 OR Carry What Ever You Want In It ! 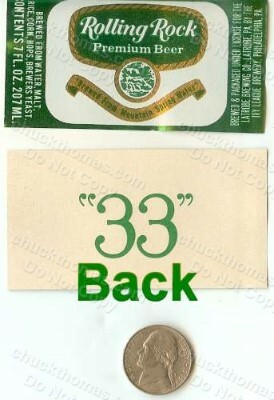 GREAT FIND From 1990 - New From The Case ! 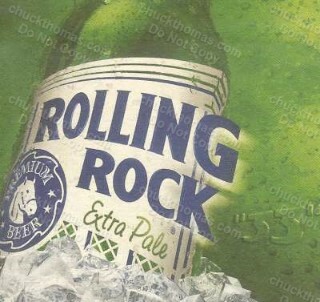 is NO Longer Brewed in PA ! 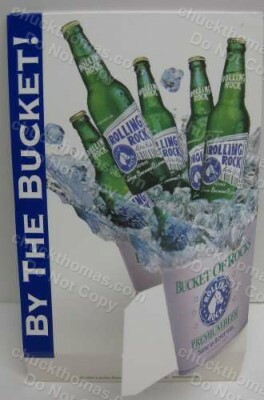 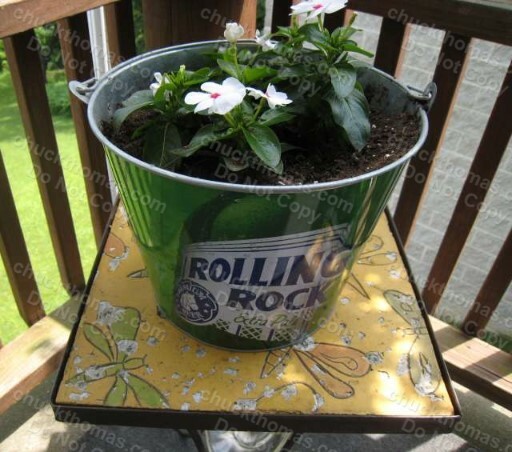 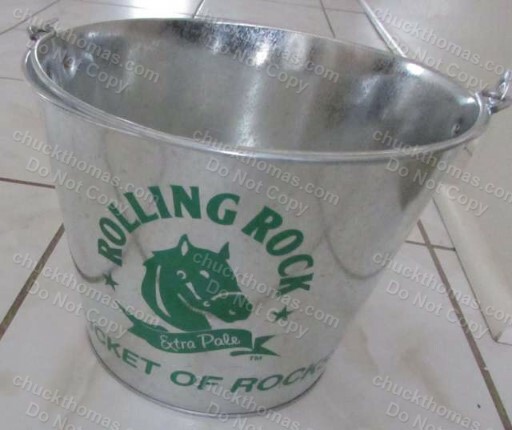 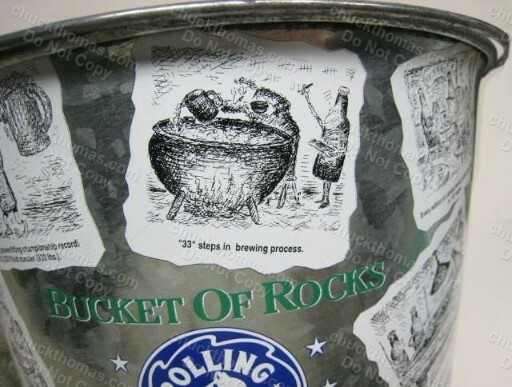 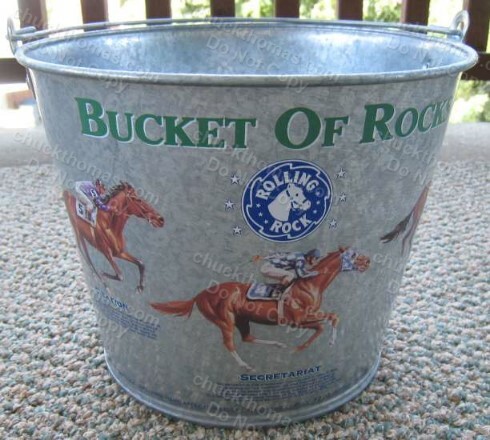 or Cabin, you Should have this Bucket ! 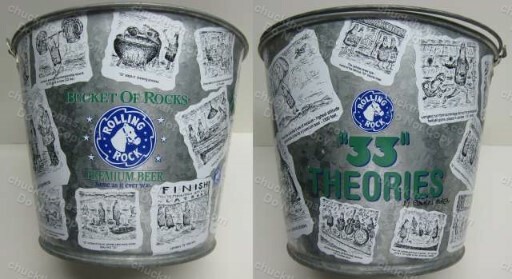 Lots of Far Out Theories Here! 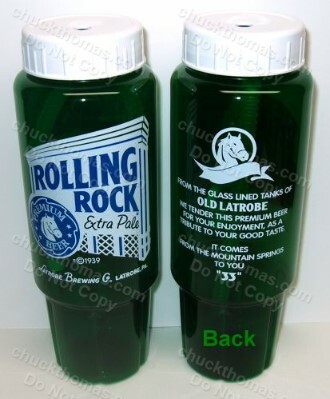 - VERY Rare! 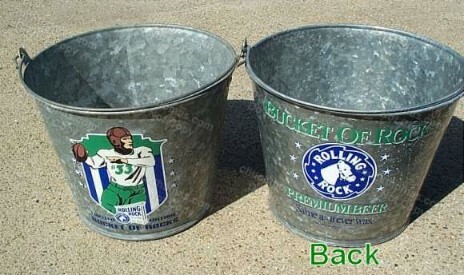 Want To Order More Than One Kind of Bucket ? 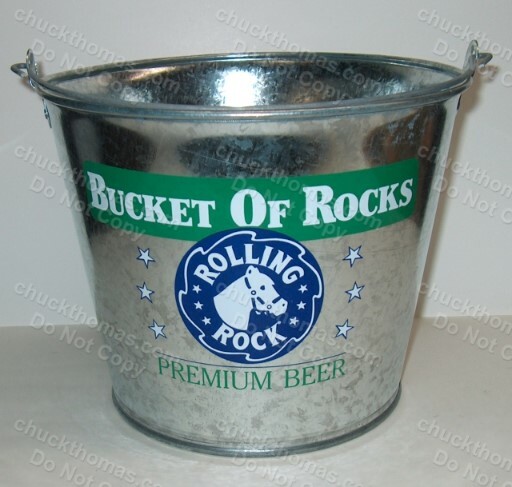 You Should have this Bucket in Your Collection! 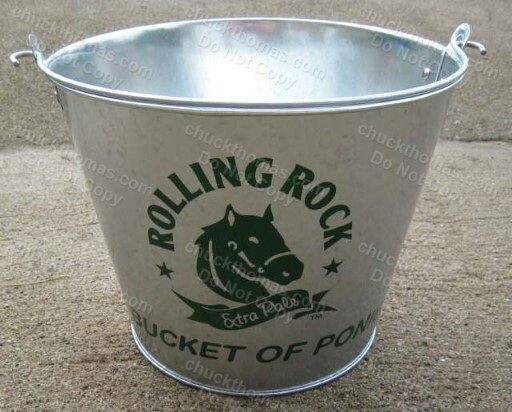 This Bucket is Like NEW ! 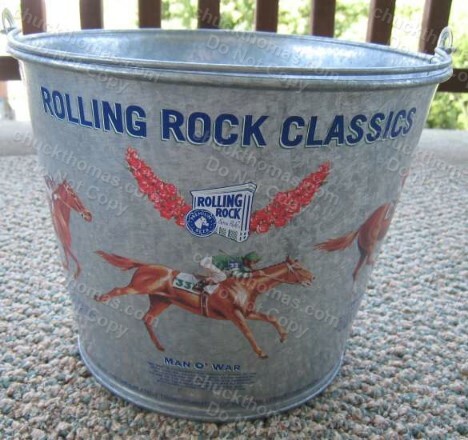 in New Like Condition like this One !